At SPATS PRODUCTIONS, INC. you are able to develop your specific content for your specific needs. Spats has quickly become one of the best kept secrets in Philadelphia music and video production circles. We provide the highest quality digital video production and editing for all types of applications. State of the Art Digital Video Production Studio. We provide the finest in quality digital video production from pre-production planning and consulting, to final editing and mastering for all types of Video Productions. We can handle any project. Web Casting/Streaming Studio. Our in-house accomodations are State-of-the-Art. You don't have to be an expert, we'll handle the technical details and take you Live on the web, hassle free. Mobile Digital Video Recording. Remote or unusual locations are a specialty. We'll bring your event live to the web, wherever you are. 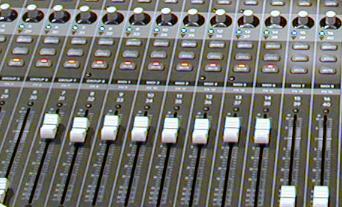 We offer State of the Art Digital Audio Recording and Production: We specialize in audio production and design. Our wide range of productions include scoring for picture, television, Foley work, radio advertising, sound effects, audio for the web, and commercial artist production. Live Room & Vocal Booth. The layout of the studio provides an extremely versitile, wide range of natural room sounds. We'll start your recordings out sounding their very best. Production Facilities. 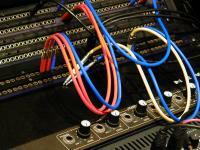 We have an in-depth feel for the production of musical projects ranging from rap and hip-hop to jazz and rock. We welcome Singers, Artists and Producers to our unique professional, private and tranquil setting. Producers. Our studio will impress all of your clients from the most newly discovered talent, to established artists. We can provide whatever you need from beats and samples to final editing and digital mastering. Mobile Digital Audio Recording. Just like our mobile video, remote or unusual locations are welcome. We'll bring our recording studio to you...wherever you are. A Private and Tranquil Setting. Experience the difference. Our newly-renovated facilities are extremely versitile and comfortable, allowing our clients to relax and focus on their work. You'll be free to create and enjoy the positive experience of creation. We help to bring out the best in your project. Our location is easy to get to and from, within 15 minutes of Center City Philadelphia. We are conveniently located in Mt. Airy, PA. 15 minutes from exit 26 off the PA Turnpike and 10 minutes from the site of the Philadelphia Music Conference. Children's programming for the web and TV. Web streaming for local and national artists and corporate events. Development of local musical talent. We are currently working with a number of artists and producers helping to develop local musical talent. We are very excited about the myriad possibilities that we offer our clients. We translate your believing into achieving. Keeping it fresh. Now and in the future. We are constantly upgrading to keep you right on the cutting edge.